Please keep in mind that from July 5, 2013, to January 7, 2014, I was “represented” by the fraudulent agency Sandpiper Publicity, which consists of the two con artists Mike Albee and Lura Dold. During most of this period, my mother was committing slow suicide, my Website was a rolling catastrophe, and I was finishing Volumes Two and Three of the Ghosts Trilogy. In a constant state of dissociation from post-traumatic stress disorder, I lost track of time and didn’t question why my friendly, concerned, Über-professional publicists had achieved such meager results. When they pitched me to a magazine for diabetics, I finally began wondering what was going on. But by that time I’d squandered my life’s savings and let these frauds kill both Ghosts and Ballyhoo and Chasing the Last Whale. I’ve retired from the professional writing world and now just blog. At any rate here are the highlights of the press my work and I have gotten. Radical Sound and the SF Free Music Collective, Ghosts and Ballyhoo. Album of improvised jazz based on my book. General Jean-Claude Laparra (ret.) and Pascal Hesse, Le Sturmbataillon Rohr 1916-1918 (Paris: Histoire & Collections, 2010), pp. 127-128. Includes my information—previously unknown by present-day historians—on the uniforms of the battalion flamethrower platoon. In French. Olivier Richter, Sturmtruppen: The Kaiser’s Elite Stormtroopers. Tankograd No. 1002, Imperial German Army Weapons and Soldiers of the Great War 1914-1918 (Erlangen, Germany: Verlag Jochen Vollert, 2010), pp. 51-57. The entire section on flamethrowers was taken almost word for word from my book German Flamethrower Pioneers of World War I, the sole source used and credited. Robert Schulslaper, “Ghosts and Ballyhoo: A Conversation with Thomas Wictor.” Fanfare: The Magazine for Serious Record Collectors. Volume 37, Number 4, March-April 2014, pp. 121-128. Christian Vasquez. “Writer Shares Experience as Musician in New Book: Shares New Views on Life.” Blue Pacific Newspaper. Volume 19, Number 37, September 2013, pp. 1-2. Article about Ghosts and Ballyhoo. Ben Watson, Honesty is Explosive! Selected Music Journalism (Rockville, Maryland: The Borgo Press, 2010), pp. 148-150. Review of In Cold Sweat: Interviews with Really Scary Musicians. Windsock Worldwide, Volume 29, Number 5, September-October 2013, “German Aircraft-Mounted Flamethrowers? pp. 4-7. My article on my discovery that the Germans fielded aircraft-mounted flamethrowers in World War I. No present-day historian had known this. Tzippy Yarom, “Operation Four Little Martyrs,” Mishpacha Magazine, December 25, 2014, No. 1187. A story about my theory that the deaths of the four Bakr boys on the beach at Gaza was a Hamas deception operation. In Hebrew. Daniel Bautz, The Grand Dark Conspiracy, WQTT 1270 AM, Marysville. Bobbo Brown, KNTX AM 14010, Bowie. Dean Delray, Let There be Talk. Interview with Scott Thunes featuring discussion of my book In Cold Sweat: Interviews with Really Scary Musicians. Mike Gabriella, Gina Yarbrough, A.K.A. MAC: Music, Art, & Comedy Show, San Diego. Tron Simpson, Tron in the Morning, AM 1040, Colorado Springs. Mottie Wolfe, The Mottie Wolfe Show, Voice of Israel, Tel Aviv. “Andy West with Rama,” Magna Carta Records. This is an unpublished, uncredited interview I did with Andy West that somehow got online. The only way this could’ve happened was that after the article was killed, the editor of my former magazine gave or sold it to the record company. Ethics? Whuh dat? BagNews, “David Frum Accuses NYT and Reuters of Staging Gaza Hospital Photos (Graphic).” An attempt to debunk my observation that Palestinians were playacting at being victims of Israeli atrocities, which gave me the evidence I needed to prove that the photos in question were hoaxes. Tim Blair, “Doors Open,” The Daily Telegraph. Post about my cover of Gentle giant’s “Mobile.” The video link is dead, so my performance can be seen here. Andrew Bolt, “Terror by Degrees,” The Herald Sun, October 9, 2005. This piece evolved from an e-mail conversation I had with Mr. Bolt, in which I used the analogy of Dr. Arthur Carrington attempting to appease the murderous alien in The Thing From Another World (1951). Mr. Bolt congratulated me on the aptness of my analogy and then wrote a column about it. Arutz Sheva 7, “US Expert: Hamas, not Israel, killed boys on the beach in Gaza War.” My analysis of the Hamas deception operation carried out July 16, 2014, on the beach in Gaza. 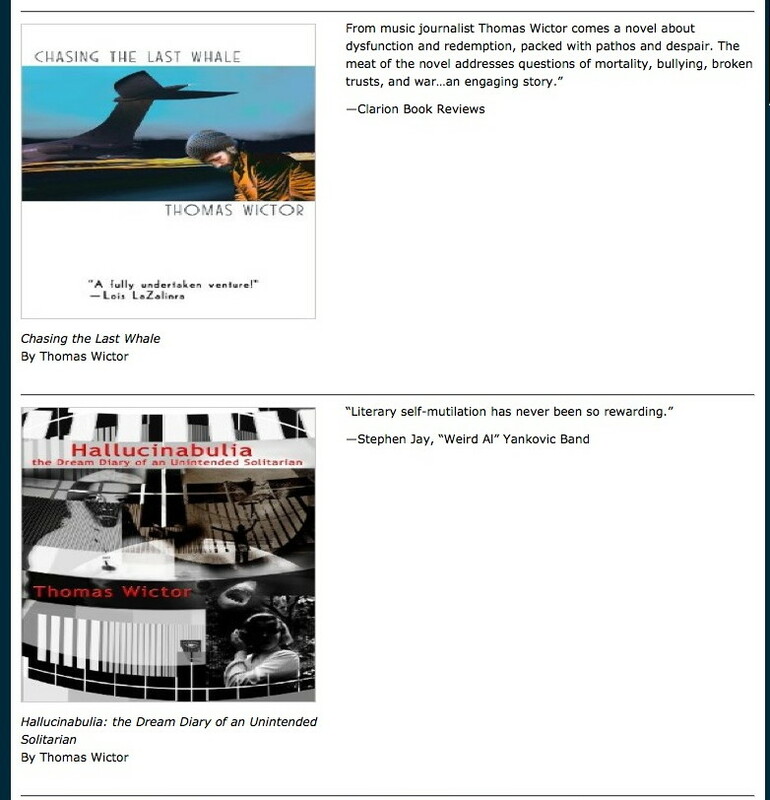 Chasing the Last Whale, Kirkus Reviews. “Conversation with a Secular Humanist,” Facebook discussion with Anne Rice on Christianity and atheism. April 12-13, 2014. James Delingpole, “Claim: The Four Palestinian Boys Killed on the Beach Were Not Blown Up by Israel but Murdered by Hamas,” Breitbart London. My analysis of the Hamas deception operation carried out July 16, 2014, on the beach in Gaza. James Delingpole, “Exposed: The Self-inflicted Hamas ‘Massacre” blamed by the Media on Israel,” Breitbart London. My analysis of the fraudulent “marketplace massacre” in the Gaza neighborhood of Shijaiyah on July 30, 2014. “Equipment: Tricks of the Trade. Tom Peterssons’s Rig,” 12-String Bass.net. Excerpt from my article on Cheap Trick’s Tom Petersson. Europe-Israeli Press Association, “Palestinian boys killed on the Gaza beach during the 2014 conflict murdered by Hamas?” Review of my theory that Hamas murdered the Bakr boys, who were said to have been killed by the IDF on the Gaza beach, July 16, 2014. “Flammenwerfer! The Death’s Head Pioneers,” The Soldier’s Burden. My piece on German flamethrower pioneers of World War I. “The G-word Will Help You Overcome Everything: Gratitude is the Key to Happiness,” Medium. My essay on gratitude. Georgetown University, course “Interacting with the Medical Humanities.” My essay “Pork,” from The Bellevue Literary Revue. Hallucinabulia: the Dream Diary of an Unintended Solitarian. Clarion Foreword Reviews. Hallucinabulia: the Dream Diary of an Unintended Solitarian. Kirkus Reviews. History Book Review, German Assault Troops of World War Eye. Video review of my book. Jim Hoft, “Figures: NY Times 2013 Benghazi Report Contradicts NY Times 2012 Benghazi Report,” The Gateway Pundit. Reference to my piece on al-Qaeda involvement in the attack on the American consulate in Benghazi. Sarah Hoyt and Charlie Martin, “You Have the Right to Speak to an Attorney,” Pajamas Media: PJ Lifestyle. Plugs for Chasing the Last Whale and Hallucinabulia. 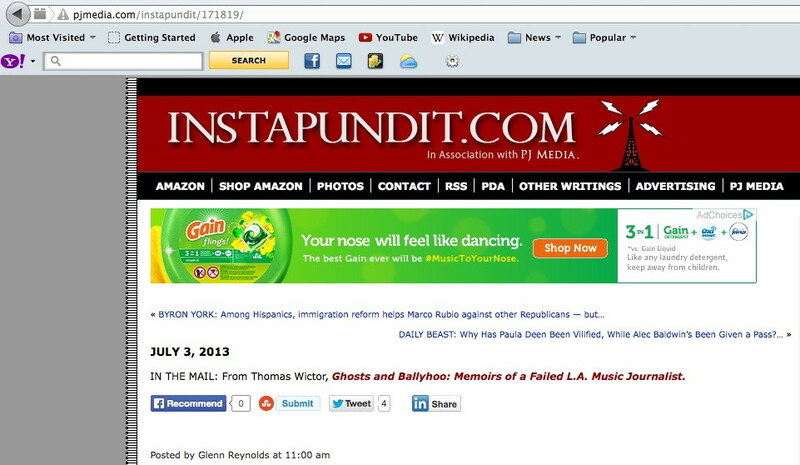 Instapundit. Plug for Ghosts and Ballyhoo, Chasing the Last Whale, and Hallucinabulia: the Dream Diary of an Unintended Solitarian. 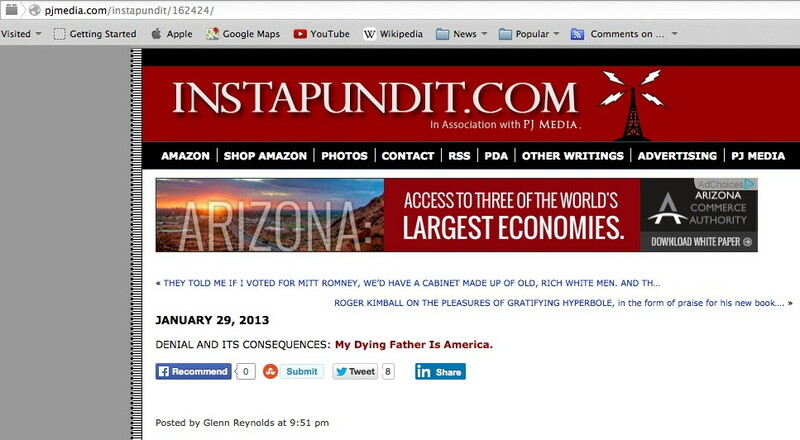 Instapundit. Plug for my essay “My Dying Father is America,” about how my father ignored his cancer for five years. “Stephen Jay: Uncharted Territory,” Global Bass Magazine, December 2001. My interview with solo artist, composer, and “Weird Al” Yankivic bassist Stephen Jay. “Stephen Jay: When Weirdness Isn’t Enough,” Bass Player, Volume 10, Number 13, December 1999, pp. 10-12. My first interview with the undisputed master of musical presque vu. Kathryn Jean Lopez, “How Can This Not Be at the Top of the News Everywhere?” The Corner. My analysis of the military actions taken by slain former Navy SEAL Tyrone Woods during the attack on the American consulate in Benghazi. Mako, “Experts: ‘Jordanian pilot burning video – faked. '” My analysis of the Islamic State video Healing the Believers’ Chests, purporting to show the burning alive of Royal Jordanian Air Force Lieutenant Moath Youssef al-Kasasbeh. In Hebrew. The Official Gentle Giant Website, “Ray Shulman Interview by Thomas Wictor.” The interview with my bass idol that was killed by the editor of Bass Player. Power Line, “Benghazi: A Reader Assesses the Evidence [Updated. ]” Includes my analysis of the military actions taken by slain former Navy SEAL Tyrone Woods. Power Line. My book Ghosts and Ballyhoo is chosen for the Amazon Bookshelf. Power Line. My piece on al Qaeda’s connections to the attack on the US consulate in Benghazi is linked. 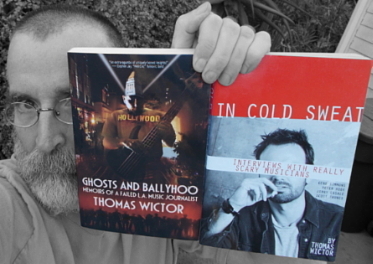 “Scott Thunes: Un-Ghosted by Tom Wictor,” Bass Musician Magazine. The first interview I conducted since 2002. Victoria Strauss, “Magnus Publicity: Name-Changing Publicist Mike Albee Returns.” Writer Beware: The Blog. Another story about Mike Albee and how he mercilessly scammed me by exploiting the suicides of my parents in 2013. “Sturm-Bataillon Nr. 5 (Rohr),” The Soldier’s Burden. My piece on the first German assault battalion of World War I.
Rick Suchow, “Thomas Wictor: Interviewing a Bass Journalist Story,” Bass Musician Magazine. Colonel Mikhail Vasilyevich Supotnitsliy, Army of the Russian Federation, Website Supotnitsliy Mikhail Vasilyevich. Book De-Lazari, Aleksandr Nikolaevich, Khimicheskoe oruzhie na frontakh Mirovoy voyny 1914-1918 godov. Commentary by Colonel Mikhail Supotnitskiy (Moscow: Vuzovskaya Kniga, 2008), Commentary 11. Includes information, photos, and original drawings I provided about World War I flamethrowers. Russian language. Colonel Mikhail Vasilyevich Supotnitskiy, Army of the Russian Federation, Website Supotnitsliy Mikhail Vasilyevich. “Hellfire,” Officers Volume 52, Number 2, 2011, pages 56-61. Includes information, photos, and original drawings I provided about World War I flamethrowers. Russian language. Talkbass, “Interviewing Bassist Stories.” The genesis of my book Ghosts and Ballyhoo: Memoirs of a Failed L.A. Music Journalist. “Victaulic,” Wikipedia, the Free Encyclopedia. Reference to my book Flamethrower Troops of World War I: The Central and Allied Powers. “Thomas Wictor,” Page One Literary Newsletter. Article about my first book In Cold Sweat: Interviews with Really Scary Musicians. Ynet News, “Huge Head, Blood-red Sea. 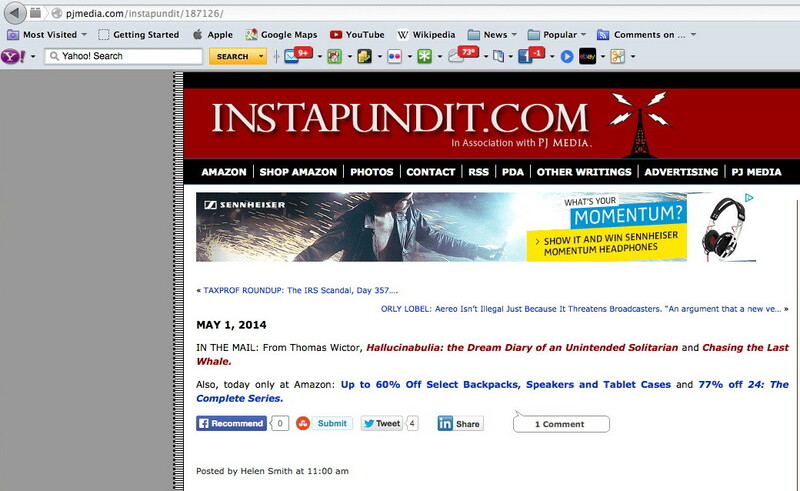 Daesh Films Fake.” Mention of my work exposing Islamic State videos as fake. In Hebrew.